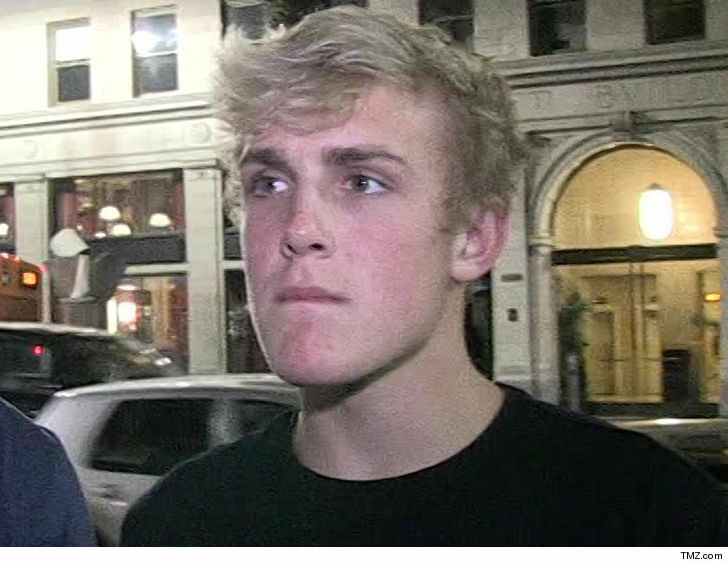 4:30 PM PT — Jake Paul’s lawyer tells TMZ … Jake was not present during the citizen’s arrest. The lawyer adds Jake was not even aware of the citizen’s arrest at the time it was made. Jake Paul‘s security roughed up a neighbor and falsely placed him under a citizen’s arrest because of the way he looked … according to a new suit. Paul’s neighbor claims in February 2018, he rang the buzzer to enter Jake’s home and drove his car in once the gate was opened for him. He says he wanted to speak with Paul about cars driving at high speeds in and out of his residence … which he felt was a safety concern for their community. According to the docs … one of Jake’s friends verbally attacked the man once he got out of his car, and a security guard got in his face and accused him of trespassing. He claims the guard then “grabbed him, twisted his arm behind his back and threw him against his car to hold” him. The man says cops were called by Paul’s people, and he was detained while they tried to convince the officers he was trespassing. According to the docs … the cops didn’t find evidence of that and let him go. The man claims the citizen’s arrest at Paul’s pad was done without reasonable probable cause and even worse … he thinks it was “racially motivated” based on his religion and nationality. He’s suing Paul for false imprisonment and intentional infliction of emotional distress … and wants damages. We reached out to Paul … no word back so far.